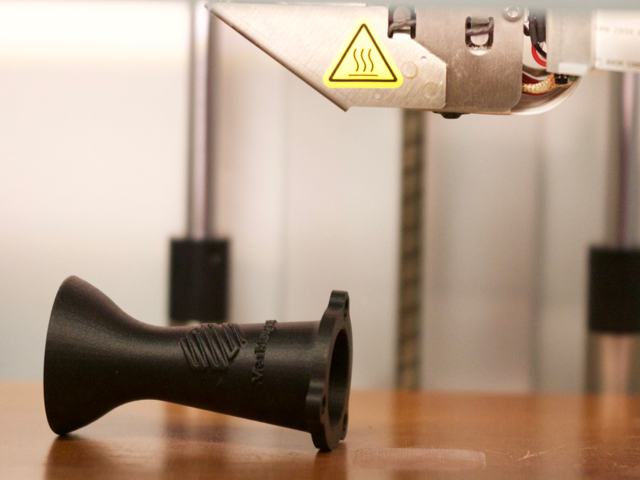 Markforged 3D printers are capable of producing high quality functional parts. In order to reliably produce quality parts you may have to 'tune' your machine for optimal performance. There is a bit of a learning curve associated with this. This guide aims to be a visual glossary of part quality issues that you may encounter and their recommended solutions. 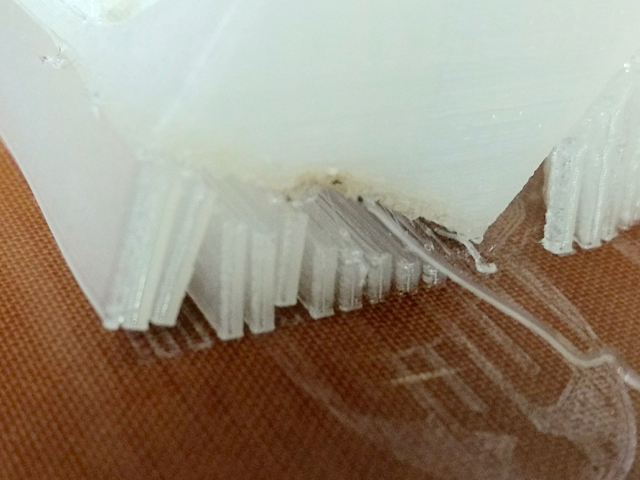 The printer is not extruding enough plastic, causing gaps in the print. Short segments of fiber jut out of the part's surface. When excess plastic is extruded and accumulates on the exterior of part. The fiber segments are not adequately centered relative to the part's volume. Support structure has failed to print or did not properly support the part. Strings of plastic are coming off the side of your part. When residue from fiber is deposited on the outside of the plastic walls. Part separated from the bed during printing. Part surface has burn marks leading to poor surface finish. 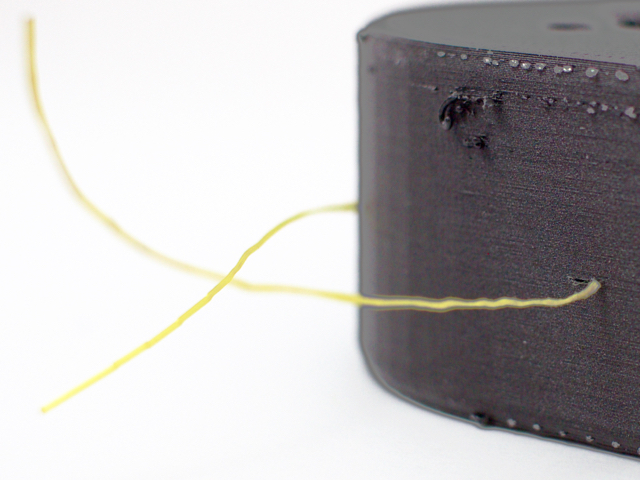 While printing, the fiber material stopped extruding yielding missing interior volume. 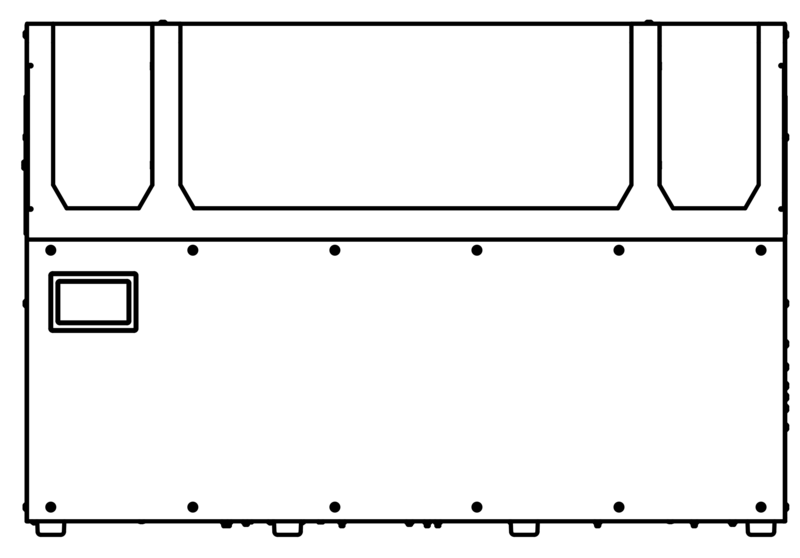 Features of the part have warped upward, away from the build plate. 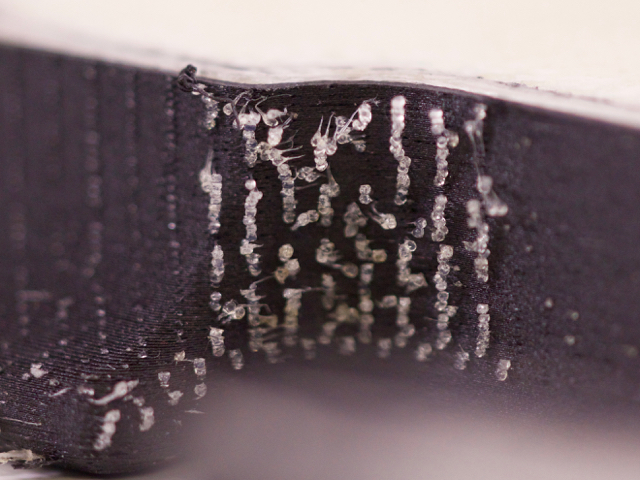 Under-extrusion occurs when the printer cannot push enough plastic through the print head and can result in poor surface finish. Check your dry box to make sure material is not tangled around the spindle and that there is nothing keeping your spool from spinning freely. Run the Wet Plastic Purge Line utility. If the purge line doesn't print or is under-extruded, try changing the nozzle. If the purge line shows evidence of wet material, try new material. Note: Be sure to throw out old desiccant packs and not to use any third party desiccant. Run the Calibration Extrusion utility and weight the extruded materials. If the weights come back with good extrusion, ensure you have proper bed maintenance and leveling. If the weight come back with poor extrusion, please Contact Support. 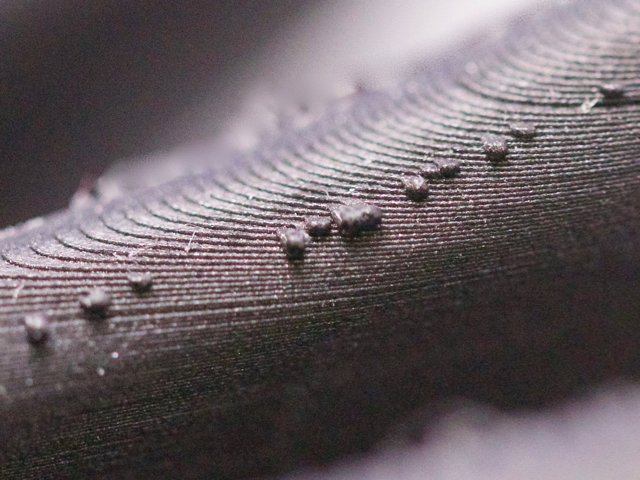 Blobs of plastic build up on the surface of the part. This is commonly associated with a behavior pattern where the print head will pause randomly during printing, for a short period of time, while continuing to extrude plastic. This behavior should not occur on firmware versions newer than App Version 2f78137. Stringing is the deposition of Plastic material on the outside of, or between, parts in a build. Stringing occurs when plastic is expelled or leaks from the nozzle unintentionally. 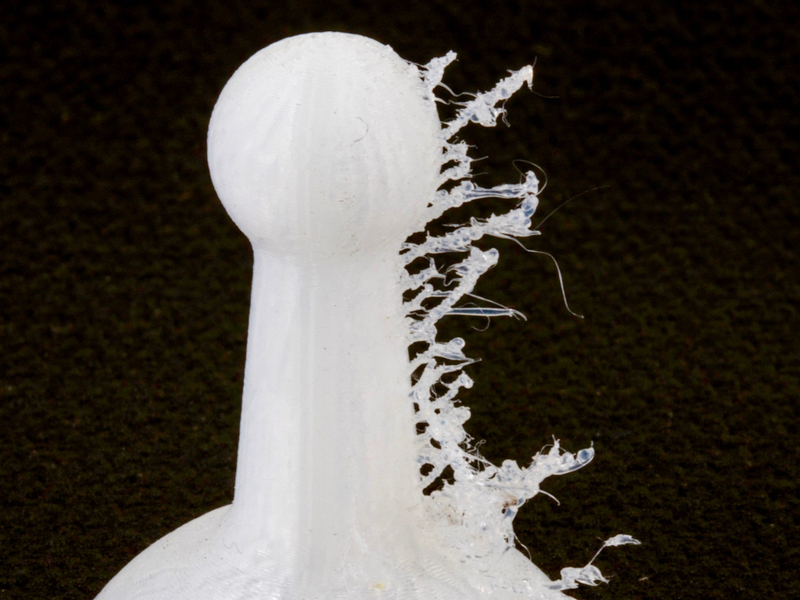 It can also occur when plastic sits in a heated nozzle for an extended period of time, or when part of a new layer fails to completely adhere to the layer before. Dispose of any old desiccant or desiccant from a third party vendor. Ensure the Plastic Feed Tube is securely installed into the dry box. Ensure the dry box is securely clamped shut. Check material packaging for any signs of punctures or damage that may have exposed the material to air. Clean the nozzles and print head. Use the Brim for better part adhesion. Fiber tails or strings can occur any time fiber does not cut or lay down properly in a part. This is most commonly presented as short segments of fiber stringing off the side of a part. Navigate to Menu -> Utilities -> Actuate Fiber Cutter on the printer's touch screen. Press "Next" to actuate the fiber cutter the first time. Press "Retry" to repeate the test as many times as necessary. Press "Done" on the printer's touch screen to exit the utility. Clear any fiber that was knocked loose by actuating the cutter. If the cutter fails to actuate, please Contact Support. Check the bed level and fiber nozzle height for any issues where fiber appears to not be adhering to the part correctly. The fiber nozzle is calibrated in relation to the plastic nozzle in the X and Y axis. 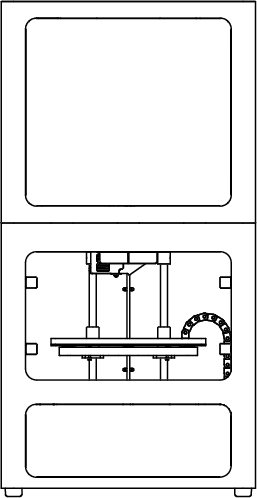 The printer contains an offset value for where the fiber nozzle is located in space and that offset value is taken into account during printing. 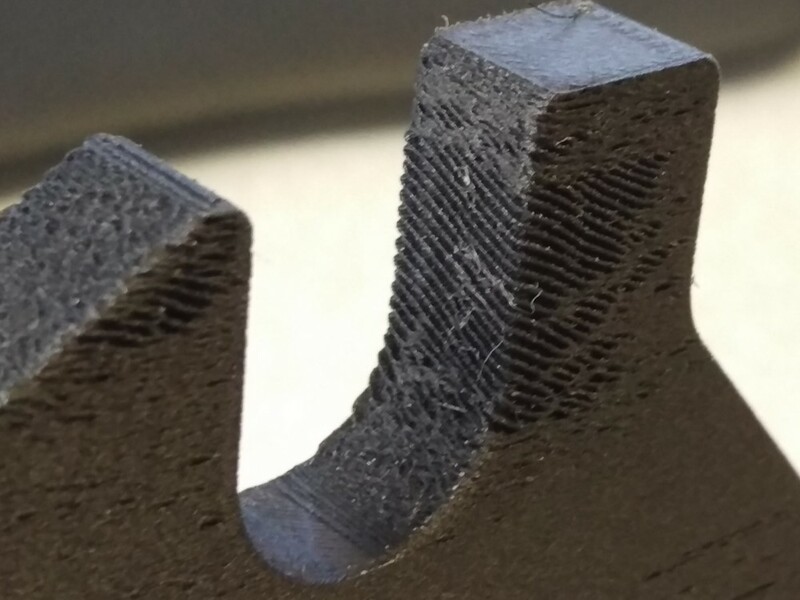 If that offset is miscalibrated, fiber likely will not be laid down in the correct places during printing, and can even print outside of a part in extreme cases. Adjust the bed level or run the Bed Level Test Print to ensure a good printing environment. Run the Fiber Nozzle XY Offsets utility to correctly set the height of your fiber nozzle. Fiber Residue occurs when the plastic and fiber nozzles are not properly leveled against each other. Residue often presents as small blobs of material on the outside walls of a part. Generally, residue will only appear on the faces of the part at which the print head finishes a tool path. Run the Fiber Nozzle Calibration Utility to correctly set the height of your fiber nozzle. Fiber missing from a part over a series of layers indicates an extrusion problem or a fiber jam. Missing fiber can cause dislocations or stringing plastic material, which can damage your printer in turn. The printer has a utility to walk users through clearing a jam if one is detected. For additional information, please see this Support Article. If your printer did not detect the jam, check the nozzle and PTFE tube for clogs first. For additional information, please see this Support Article. Try to load fiber. 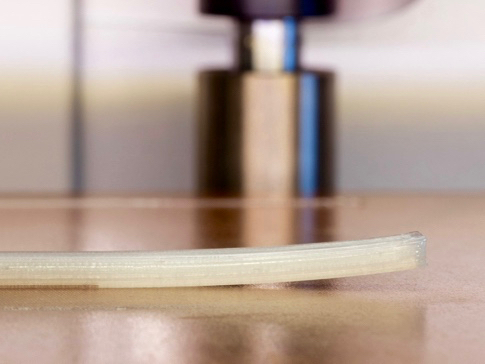 If the extruder is not able to turn or load material, please Contact Support. Dislocation errors occur when the printer identifies that it has collided with the part that is printing. While printing, the printer will stop every 5 layers to run a check to determine if a dislocation has occurred. If the printer believes a dislocation has occurred, it will stop the print with an error notification. If you’ve sent the print to the printer through your network, the you will be notified of the failure via email. 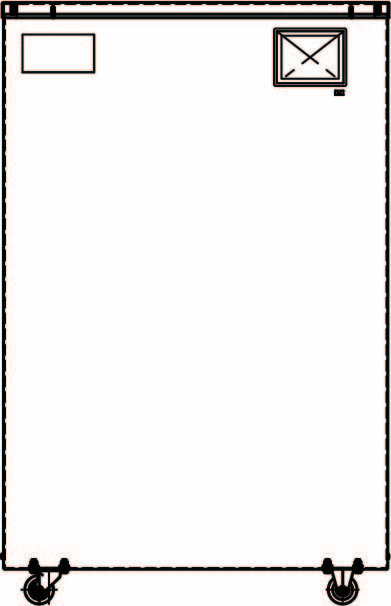 Users who print offline via USB or onboard storage will not receive an email. Troubleshooting for dislocations should be broken down based on whether the dislocation occurs on just one one part or if it occurs on all prints. Change the Supports Angle in the Part View in Eiger to make the supports span shorter distances, if possible. Change the angle to be closer to 45 degrees off the print bed. Remove large-radius fillets or change them to chamfers. For additional assistance with single parts that are dislocating, please Contact Support. Ensure that the bed is clean and is well-glued. Ensure the plastic is dry. Manually move the print head to verify that it can move smoothly around the entire printable area of the printer. 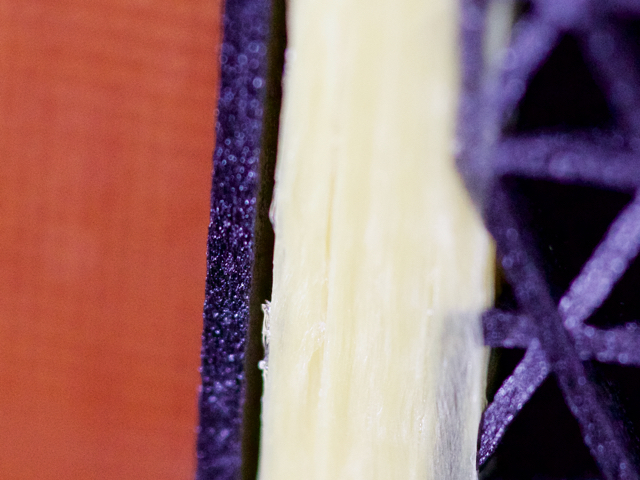 Ensure the garolite on the print bed is not peeling up. For additional assistance with dislocations that occur on all parts, please Contact Support. Supports can fail if they peel up off the print bed or if they are not strong enough to hold up the floors of the feature that is printing above them. 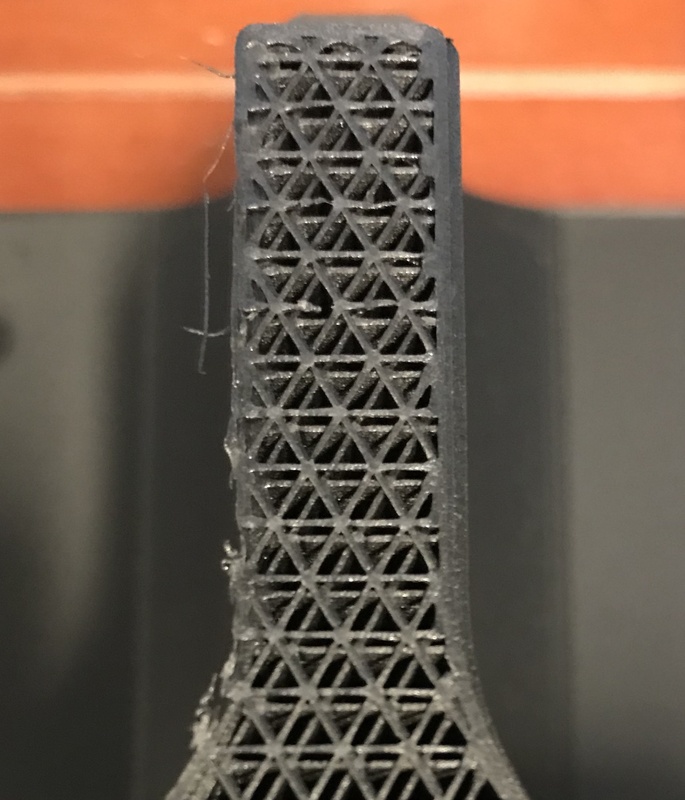 Support failures usually mean print failures, but sometimes prints can finish successfully even if the supports fail. Ensure the print bed is clean and that there is enough glue. Orient the part or change the geometry such that the supports will be as short and small as possible. Change the Support Angle in the Part View in Eiger to make the supports span shorter distances, if possible. If a part has poor adhesion between the first layer of material and the print bed, the part can be knocked off the bed during the print. If a part gets knocked off the bed, this can result in a dislocation error or in a spiderweb of material building up in the printer. Rotate the part such that there is maximum contact between the part and the print bed. Keep the print bed and printing environment warm during printing. 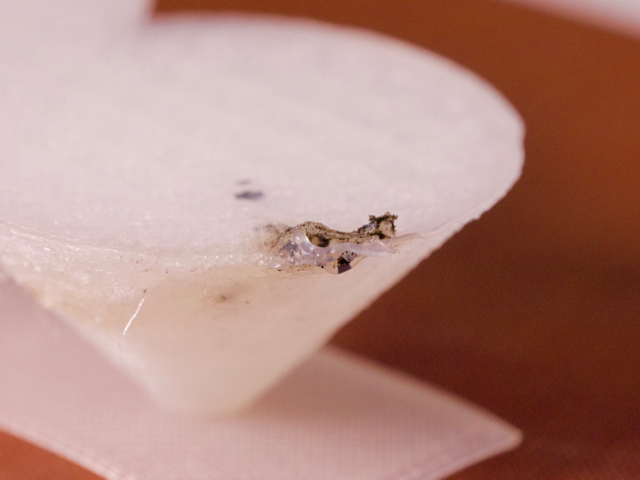 Apply a thick layer of glue under the entire base of the part. Let the part cool completely before removing it from the print bed. Use rounded corners rather than sharp corners on parts. Use the Brim feature in Eiger. Design fillets or custom brims onto your part in Eiger. Use Fiber or Onyx if possible. 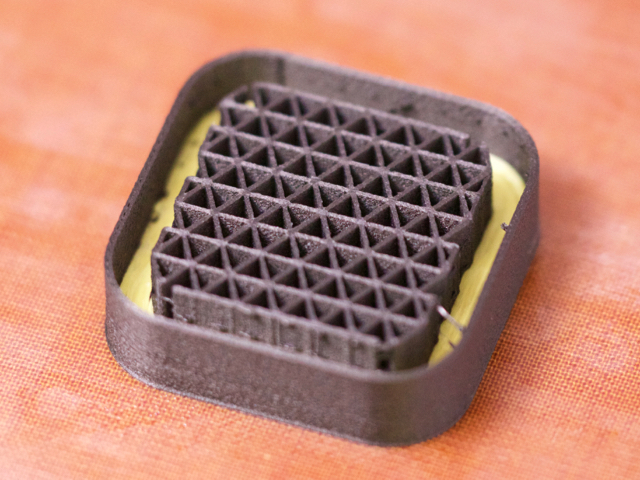 See this Support Article for more information on why parts warp and what to do about it.